Surf to Google. 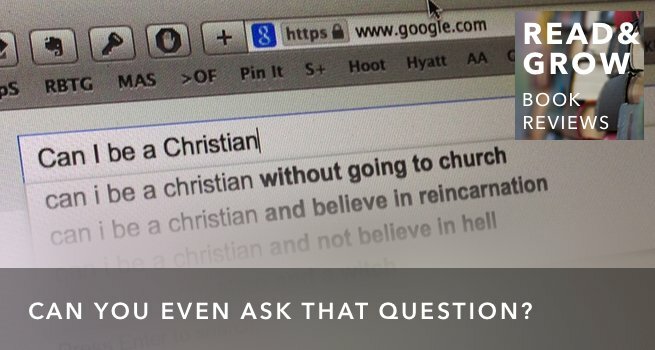 Type the phrase “Can I be a Christian…” into the search box. Helpful as ever, Google will start suggesting popular queries. The top search? This is a question people are asking. They are asking it a lot. I’m a Pastor’s Kid who grew up in Church World1. Growing up, I knew there were people who asked this question, but it was always for bad reasons. They didn’t want accountability. They didn’t want to quit their bad behavior. They didn’t want people to know they were Christians. That meant they were “ashamed of the Gospel.” The idea that people could become Christians without becoming like us made no sense. One of the things that defined us was gathering together weekly for worship and service. That was church. 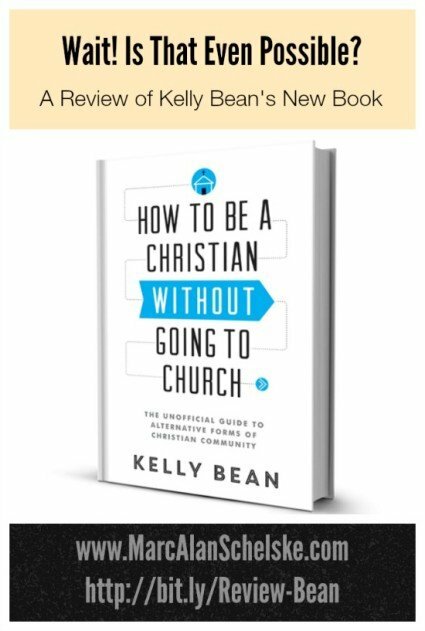 Fast forward more than three decades, and Kelly Bean’s (Website / Facebook / Twitter) new book hits the shelves with a pot-stirring title: How to be a Christian Without Going to Church. The sub-title? The unofficial guide to alternative forms of Christian community. So, what have we come to? Were my childhood assumptions true? Are Christians wanting out of accountability, community, and mission? Are they just wanting to be like the culture around them? Slope-sliding into a world of grey standards and compromise? Is this “unofficial guide” a handbook for Christianity light? Wait, Can We Even Ask that Question? Kelly Bean, the author. She’s also a speaker, activist, community builder and pastor. I’ve known Kelly Bean for a number of years now. I’ve worshipped with her. I’ve worked with her on mission projects. I’ve sat on her back porch and talked about life, family, hopes and dreams. 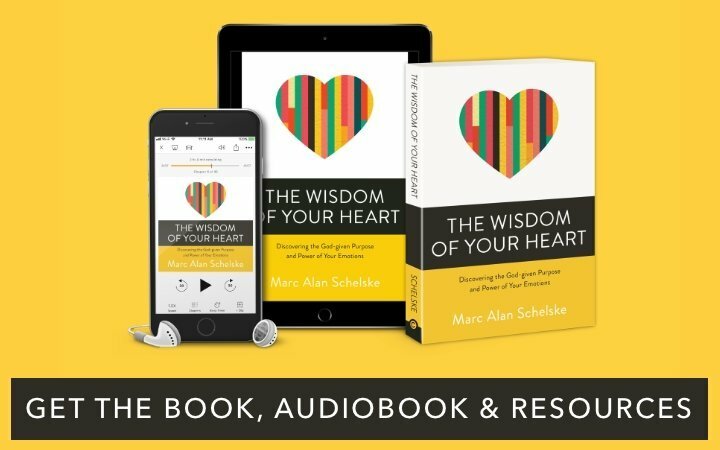 When I heard that she was writing a book on all the unexpected ways Christians are engaging in community and mission these days, I was excited to have her share her experience and observations. Then I heard the title. I had just a twinge of anxiety surface in my heart. So, entering into Kelly’s book came with some trepidation for me. Kelly’s book is not dry theology. It’s about practice. 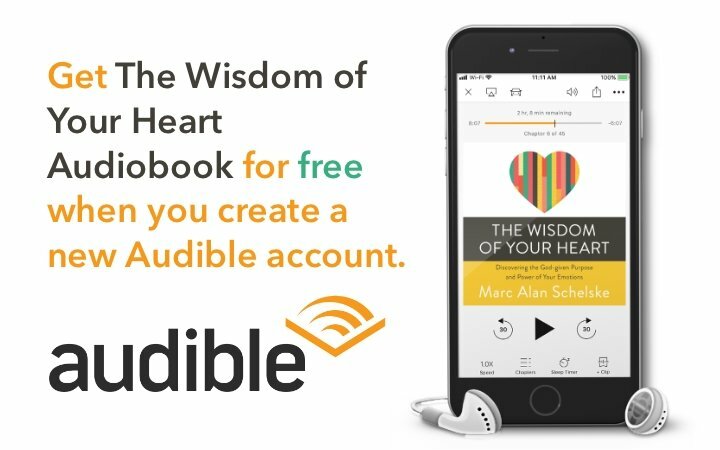 It’s full of stories of real people, real followers of Jesus, who are working out how to live their faith in a wide variety of contexts, along with the reasons how they became Non-Goers. This is the phrase used to refer to the increasingly large cohort of people who are saying Yes to Jesus and His way, but are not sitting or serving in our sanctuaries each weekend. First we get their back-story. Who are these Non-Goers? How did they come to that position? Their reasons are not what I heard growing up. These are not people who want a Christianity-lite. In many cases they are people for whom the local church did not go far enough. Not far enough in a call to commitment, not far enough in acting for social justice, not far enough in extending love and forgiveness with no strings attached. Then we get their current story. What are they up to now? These are not people who back-slid out of church into a life that’s Christian in name only. They are up to something. They gather. They serve. They share. They give. They wrestle with mundane things like how to raise their children without the benefit of youth pastors and church classes, and who will baptize them. They think hard about things like tithing. How do you tithe if you have no organization to give to? What happens to your giving when you can give it anywhere God leads you? They come up with creative and interesting ways to be in community–in pubs and community centers, around gardens and monthly meals. Kelly deftly tells these interesting and inspiring stories. For me, they were also sad stories. More times than I can count I was moved to tears. Why? Because these are exactly the kinds of things I have longed would happen in my own congregation. These are stories of spiritual initiative. Stories of deep personal sacrifice. Stories of people setting aside the expectation of what they ought to be up to in order to follow Jesus more closely. This is exactly what I’ve been preaching for 20 years. And these people, for a variety of reasons, are finding it—just not in a church congregation. That’s when I realized that there really are two audiences for this book. The obvious audience are the Non-Goers. People who, for one reason or another, find themselves without a church congregation, and want to live a life shaped by the Gospel anyway. This book is giving examples, hope, even perhaps permission, for people to just follow Jesus whereever Jesus leads them. There’s another audience for this book–pastors and leaders who need a wake-up call. The Christian church in North America is having a crisis. We’re rushing around trying to solve it by doing all the things we know, just harder, faster and louder. That’s only making the problem worse! The phenomenon of Non-Goers and “alternative Christian Community” exists not because Christians have abandoned the institutional church, but because the “institutional church” has abandoned followers of Jesus in favor of maintaining a machine of programs, buildings, and events. The tension I felt, and the tears I shed, came from my desire that all these people could find what they are looking for in churches like the one I serve. I think both the individuals and the local congregations would be better, richer, and more spiritually healthy for it. But I also know, from more than 20 years of pastoral ministry, that We in the institutional church have done a terrible job in many cases of serving the body. We are failing people. Who are we failing? And how? We’re failing people who “graduate” our programs. Most churches don’t realize that they have a “cap” on their discipleship process. 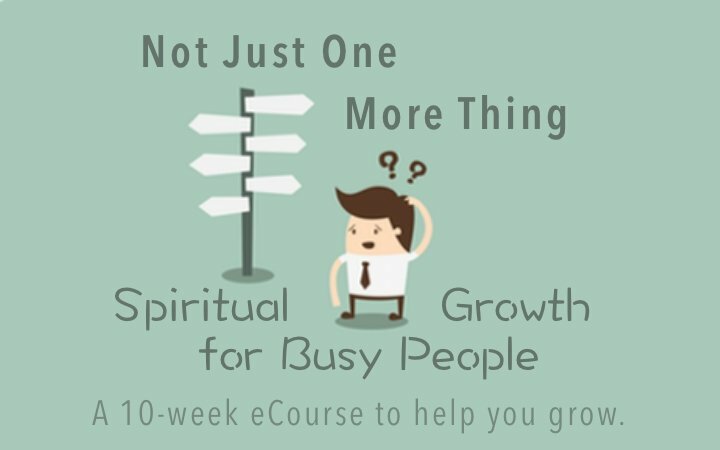 People grow in church, but very often they only grow so far. Sometimes the congregation doesn’t excel at one-on-one mentoring. Maybe they don’t have a leadership development process. Maybe they don’t want to spin off new church plants because that would threaten their own attendance. Sometimes they artificially limit who can serve because of cultural and theological commitments they have. My mother, for example, was a woman powefully gifted for leadership and ministry, but she was never allowed to lead in her church. Why? Because she was a woman. What happens when the Holy Spirit draws someone forward, but our church structure has no place for them? I know some of Kelly’s personal story and this is part of what happened for her. She matured but the congregation she was a part of didn’t allow her space to lead because she was a woman. Instead of rebelling against the Holy Spirit’s work in her life, she just followed where God was leading her, and this is where she was led. Don’t say it can’t happen. I’ve seen it happen over and over again. We’re failing people who are not like us. Almost all congregations have an unspoken demographic they serve. You see it as soon as you walk in the room. A few “upwardly mobile” congregations have intentionally delineated their target. They create content and programs explicitly for a certain demographic. We’re failing people with different learning styles, temperaments and even disabilities. The sad fact is that most churches take on the personality of their lead pastor. It’s not a conspiracy. It’s natural. I love to study and learn. That means that as a preacher, I teach. People who love that kind of environment tend to respond well to my messages, but not everyone learns well this way. My church hasn’t done a good job of figuring out ways to disciple and teach people who aren’t like this. Many other churches have the same problem. Yet, Jesus calls all kinds of people–artists, people with ADHD, kinesthetic learners, people with disabilities, people with social anxiety. Most congregations simply don’t know how to handle this, so these people eventually go looking for something else. You may reply, “But my church isn’t like that.” Great! Good for you. But the sad fact is many (most?) institutional churches haven’t solved this puzzle, and Jesus isn’t waiting around for us! Jesus continues to call people to Himself even when we don’t know how to handle them. He continues to organize them into community even when our congregations can’t or won’t include them. Some critics of Kelly’s book have suggested that she is advocating community-less Christianity, or even leader-less Christianity. They’ve completely missed the point of her book—or more likely, haven’t even read it. This book exists because this problem exists. It’s not rebels and hippies who have caused this problem. It’s us, the institutional church, who have created this. Jesus keeps working, even when our institutions are too slow to keep up. If you’re a Non-Goer, someone who loves Jesus, who desires to order your life around Jesus, and for whatever reason you’ve not found a community of faith that will include you, Kelly’s book is an incredibly hopeful and encouraging resource for you. You are not left alone. God is working outside the box inviting you to be a part of Christ’s church, even if that looks different from what you (or other Christians) expect. If you are a pastor or church leader—particularly if, like me, this title makes you a little anxious—Kelly’s book is a challenge and a helpful window of insight. We’re comfortable with our forms and programs. We know how to serve people just like us, but what lengths are we willing to go to to pursue the Great Commission? Will our systems, structures, and habits impede us from following where Jesus is leading? Or are we willing to take gentle instruction from people we’ve left out? There is no question that the Christian church in America has to change. Not to be more popular, not to appease some view of culture. But in order to effectively live the Gospel in our generation. 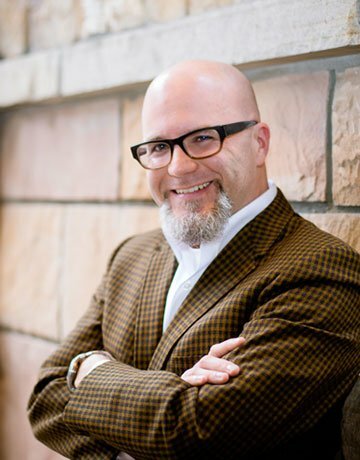 With the eye of a cultural journalist and the heart of a pastor, Kelly Bean offers us a window into a growing movement that is not waiting around for the institutional church to catch up. Jesus is doing something. Are we willing to join Him in His work to restore what has broken, and reclaim what has been lost? 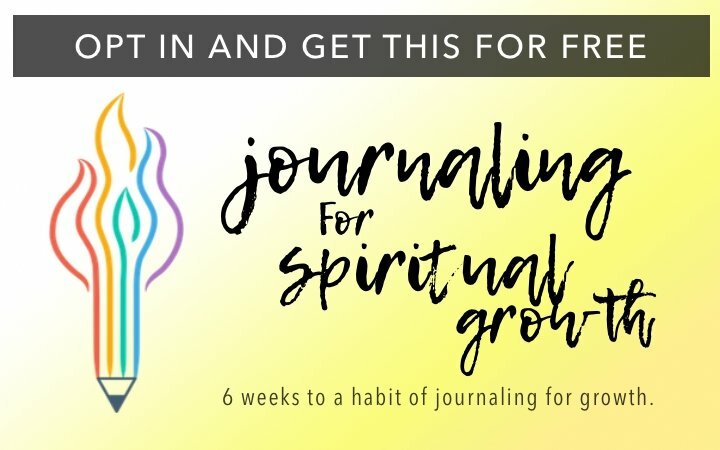 Non-Goers who are looking for ways to incorporate spiritual community, growth and mission in their lives. Pastors and leaders of traditional congregations who want to understand how their community can be more effective in reaching and serving people.